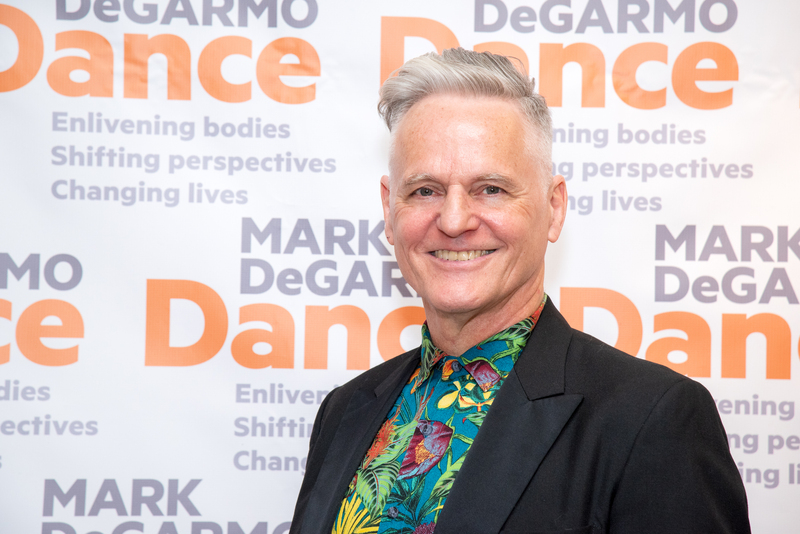 Mark DeGarmo, PhD, BFA, is Founder, Executive & Artistic Director of MDD and exemplary for his transcultural transdisciplinary achievements as artist/scholar, dancer/performer, choreographer/writer, director/educator, and improvisational composer/learning theorist. In 2015 for his “sustained outstanding contributions” to the fields of dance, education, dance education, and urban education he was honored with the 15th Anniversary Martha Hill Dance Fund Mid-Career Award and the Sophie Gerson Healthy Youth Foundation Award. Other honors and awards include a Fulbright Senior Scholar Fellowship (Peru); American Cultural Specialist Award from the U.S. Department of State (Ecuador); and National Finalist in Dance, Millennium Artist Program, an Official Project of the White House Millennium Council, supported by the National Endowment for the Arts (USA). He earned a Doctorate of Philosophy grounded in Interdisciplinary Studies with a specialization in Experiential Education and the Arts from Union Institute & University and a Bachelor of Fine Arts in Dance from The Juilliard School. Dr. DeGarmo’s dissertation analyzes the relationship between movement improvisation and nonverbal learning. DeGarmo first delivered the 60-minute role of “Light Frida” with one week’s notice due to the sudden illness of another performer in his movement installation “Las Fridas” in December 2015. DeGarmo is currently performing his 60-minute solo show that expands his Western artists’ portrait series beyond Frida Kahlo to include: Walt Whitman, Raymond Duncan—Isadora’s brother, and Frans Hals—Renaissance Dutch portrait painter and DeGarmo’s uncle. He also joined forces with Argentine director Fernando Ferrer to perform a one-man play in New York and Grammy winning Argentine composer Carlos Franzetti to create new works in New York and Buenos Aires in 2017.